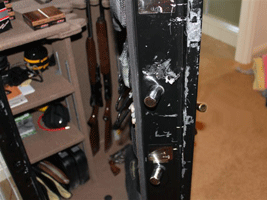 My Story - Rick S.
"They spent a lot of time and effort unsuccessfully trying to get into the safe." Recently my wife and I started shooting pistols competitively and had decided to purchase a new gun safe to store them in. We visited a number of stores, both big box stores and local gun dealers looking for the right safe. We decided on Barnwood Arms in Ripon, California, because of their wide selection and friendly customer service. We purchased the Browning ProSteel Select Model Safe. We were initially attracted to the Browning ProSteel Safes by the mere looks, but on March 3rd, we found out the real importance of the Browning ProSteel Safe. 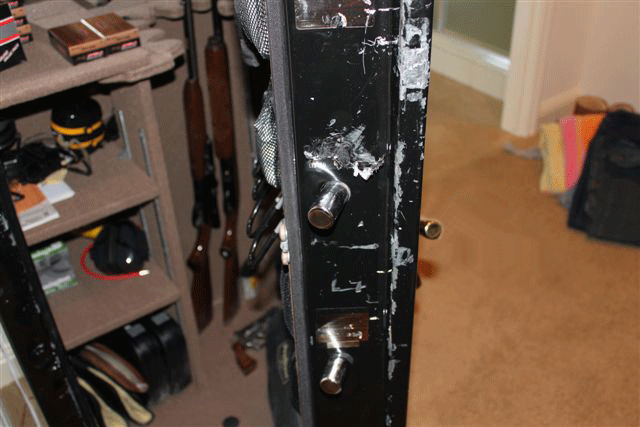 Our house was burglarized, and the thieves went straight for the gun safe. On the prospect of moving out of our current house, we decided not to bolt the safe down. The thieves first pushed the safe over and tried to pry the door open. As the attached photos show, they spent a lot of time and effort unsuccessfully trying to get into the safe. We want to personally say thank you to all of your quality craftsmen for not only building a beautiful looking safe, but most importantly an exceptionally designed and built safe. 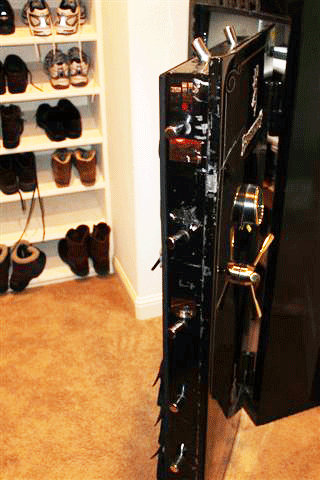 Without that quality that is built into each safe, I know that our personal belongings would have been in jeopardy. We also want to say thank you to Barnwood Arms for offering to bring in a replacement safe while we wait for our new Browning ProSteel safe. That is just another example of the quality that is in all of Browning products, from their exceptionally built products to their professional retailers.